Why your website should have a messaging strategy. What is a launchpad website? What does content marketing do for me? What's the proper way to use social media? 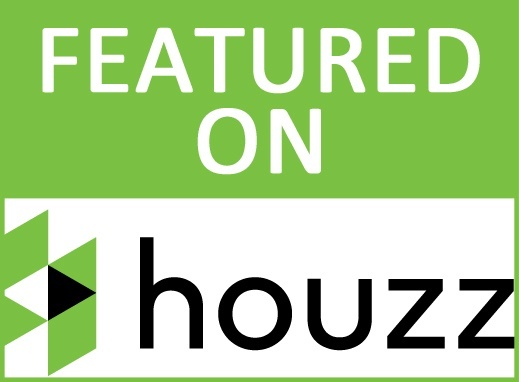 Houzz took off as the Pinterest of the home improvement services industry and has now evolved into an online brochure of tips, articles, photos and worldwide directory of professionals. Due to their large number of daily active users, Houzz is an incredible tool for finding professional services near you. However, as with all service websites, mistakes can be made and opportunities may be missed. Continue reading to see 7 common Houzz mistakes we continuously see with Houzz Profiles and our recommendations on how to avoid them. You only need 3 reviews to begin ranking higher on Houzz --- so get to it! Email your past clients and get those reviews! The more reviews your account has, the more likely it will show up on the first page of results (and the Houzz recommendation page) when people are searching for services or a professional near them. What are you waiting for? Filling out your profile is as important as getting reviews, if not more! Take the time to fill out your Houzz profile completely. You should also add information for each and every photo posted to really enhance the likelihood you will show up for a client that has never heard of you before. There is a huge difference between these two aspects of Houzz and we see a lot of businesses using them incorrectly. This is more common for designers or contractors that have been on houzz longer, but it still occurs. Create Projects to showcase your work and idea books to share inspiration from other Houzz accounts. You can also invite others to collaborate on an idea book, which is a huge plus for your Houzz account. While you may think that any picture is better than no picture, that’s not the case in Houzz land. Houzz recommends their pro accounts upload high resolution photos. The higher the quality, the better. Along with needing high resolution, you’ll need professional looking images. This means you’ll need to take the time to clean up any dust, stage(bring in your own props, if needed), and even hire a professional photographer to do it for you. Don’t neglect the power of before & after photos. When you show prospective clients the possibilities that come along with hiring you, you’ll make their dreams more tangible and be one step closer to beginning their project. We get it, you’re busy but so are your potential clients. If you’re going to be on a community platform like Houzz, you need to invest time into it to gain traction. I Googled My Business: Why Didn't I Show Up?